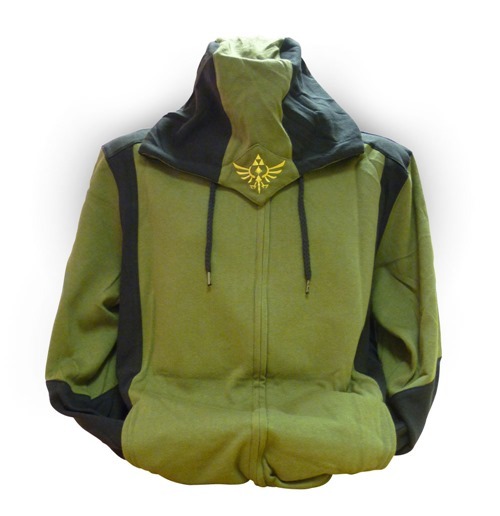 A black long sleeve hoodie made from high quality material with three green strip providing a stunning look. 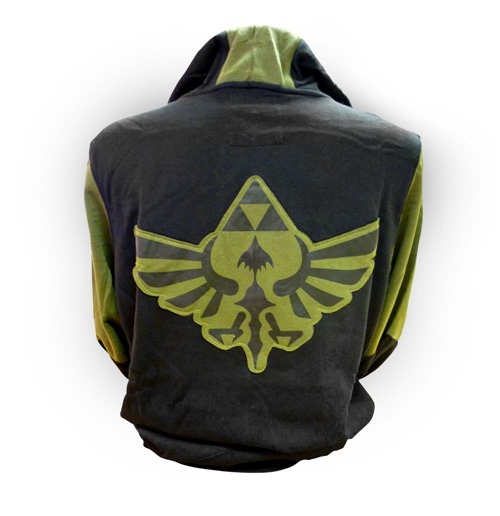 On the back of the hoodie you will find a green/black Zelda motif. 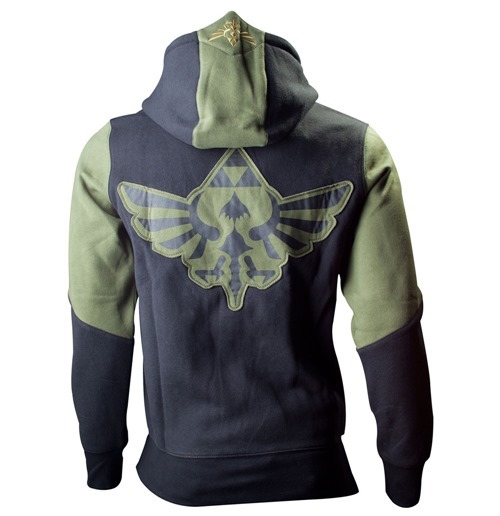 The hood also include a logo motif at the top.